Lauren Husting is an active educator and performer working in the vibrant Minneapolis-St Paul music scene. She is a founding member of Brass Lassie, a 10-piece traditional folk band boldly combining brass and jazz arrangements with Celtic, Scottish, Irish, and French-Canadian tunes; plays bass trombone in local big band the Adam Meckler Orchestra; and serves as both trombonist and horn arranger for R&B/soul cover band The Satellites. She joins the Twin Cities Symphony on tenor trombone for its inaugural year providing new and original classical music to the region. As a freelancer, she has played with such diverse groups as Exultate Chamber Choir, Festival Brass, Josh Groban, Kenwood Symphony Orchestra, Bill Simenson Orchestra, the Civic Orchestra of Minneapolis, the Minneapolis Trombone Choir, the Sheldon Theatre Brass Band, Winona Chamber Winds, The RI Project, and Minnesota Symphonic Winds. Lauren serves as low brass instructor at both St Cloud State University and Hamline University, and manages a private studio of dedicated musicians of all ages throughout the Twin Cities Metro. 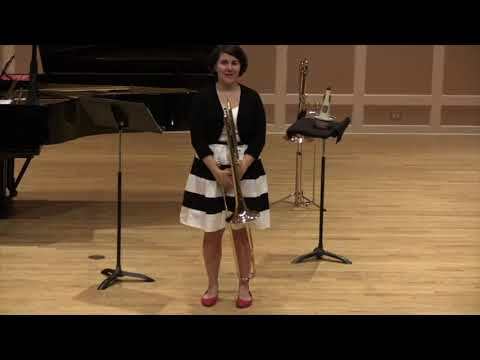 She has been BrassChix‘s Celebrity Trombonist in from 2013 to present. Lauren is dedicated to providing holistic pedagogy rooted in the fundamentals of the natural learning process and helping all of her students unlock their musical potential. Invested in finding a healthy balance between work, music, and life, she hopes to see the music industry embrace more diverse viewpoints and styles, and works to make everyone feel welcome in her studio and at her performances. Lauren holds degrees from the University of North Texas and the University of Wisconsin-Madison, and has studied with such diverse performers and educators as Jan Kagarice, Tony Baker, Vern Kagarice, William Richardson, and Sean Reusch.